■Sale price of remittances (1179) JD / dollar, including the central bank and a commission of $ (13) dinars per dollar. 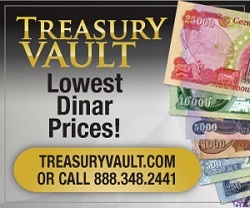 ■Cash sales price (1179) JD / dollar, including the central bank and a commission of $ (13) dinars per dollar. 2. quantity sold in cash of $ (6,150,000) dollars and quantity sold amount of remittances (844,000,249) dollars. 3. receive the central bank a commission of (13) dinars per dollar with a deduction of 8 JD / dollar the amounts purchased that is to say: the purchase price of the dollar cash = (sale price of the dollar cash) - $8. 4. continue the Iraqi Central Bank buying and selling of the dollar The price of (1166) and receive the same commissions mentioned above. report on exchange rates of the dollar in the markets of the city of Baghdad.